Our range of Centralized Filtration System, Industrial Filtration System is designed to perfection by our team of professionals who have years of experience and expertise with them Available in various specification, we make sure that before we dispatch our consignments to the final destination, we conduct several quality checks to ensure its efficiency. 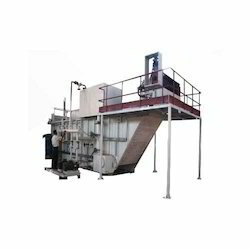 We manufacture Centralized Filtration System that is commonly used for batch of machines, used for machining components of aluminum, cast iron and forged steel. This system facilitates the use of same fluid on all the machines and creates a uniform pressure. For high quality tools, we use coolant booster pumps that are used in line with the fluid coming from centralized system. This system can be engineered according to the needs of the clients and are available at the most competitive prices. Looking for Centralized Filtration System ?